Looking for talents, create it yourself. I was reading recently an excellent article about youth unemployment. Youth unemployment is one of the biggest present challenges of our society. The author of the article mentions that companies are often more entitled to hire people having experience. For students just finishing their studies, it is difficult to have a first job. Companies, most of the time, want to hire people fully operational starting the first day. Is it the only and the best way solution? How many times will it take to find the rare talent? This article makes me think about a story Luc de Brabandere, a Belgian consultant in creativity, is often telling in his speeches. An insurance company was looking to hire people having experience in the insurance industry for the sales department. As they could not find the number of qualified people needed, they hired also people having no experience in that field. After few time, the company made the statement that people who have no experience in insurance industry provided better results than the others. How could explain we such paradox? One explanation is probably that the unqualified people were more motivated to learn, more creative as they have to proof or to reveal a talent, to take up the challenge. Such statement has to make think business owners and managers about the following. Today, in organizations, people are an asset and the collective intelligence is a reality. With the complexity of the processes, each people are a key within the process chain. By developing competences and talents, and being aware that it is a necessity, people wants to be implicated in the processes of the organization activity. 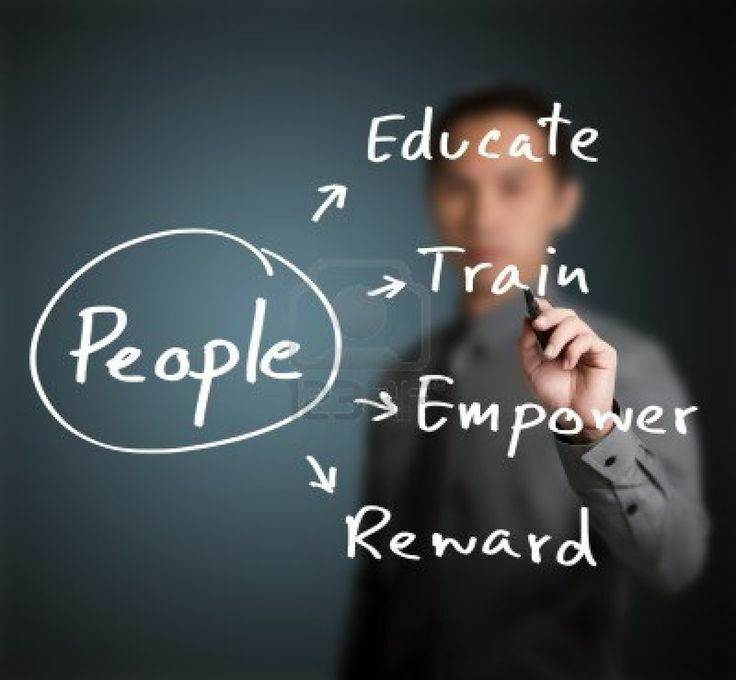 The wish to learn and to be implicate in the business, are the key of motivation. Companies that spend time to train employee have to see this time as an investment and will get more return on investment with motivated and dedicated people. By creating a process of collective intelligence, these companies can create a more sustainable and long term collaboration with the employees. Faster changes are a trend, and people have to move with these changes, by acquiring competences, by following permanent training. Change is a constant and companies have to integrate such constant in their activities plans. We know today that diploma is not a sufficient element to have a job. Changes mean also the obsolescence of knowledge. Companies have to invest in this competences evolution and renewal. To create and sustain such dynamic, people need to have clear objectives, and should be encourage to make solutions proposals, to be creative, and to be considered as a real stakeholder, a player taking responsibilities within the organization. Education is important, but self-made man can also develop talents and skills, they can also have brilliant professional careers. The quality of the diploma is not always a guarantee to have the best people for a job. As Darwin said, “It is not the strongest or the most intelligent who will survive but those who can best manage change.” Changes implies different steps with new goals, new challenges. People who embrace changes have the desire to face new challenge, and to learn is an ongoing challenge. If talents are lacking, try to develop them yourself by giving opportunities to motivated people. Today, the future resides in knowledge sharing, and if you can transmit also passion, the return on investment will certainly be higher.